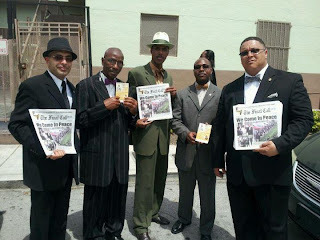 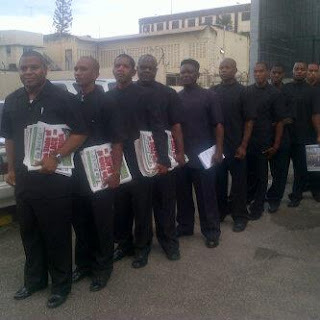 Brother Jesse Blog: Our Work Is In The Streets: Minister Louis Farrakhan continues to lead Nation of Islam men in peacemaking efforts across the U.S., Canada, London, and Trinidad. 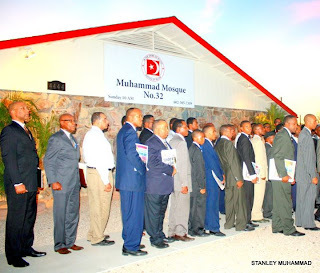 Our Work Is In The Streets: Minister Louis Farrakhan continues to lead Nation of Islam men in peacemaking efforts across the U.S., Canada, London, and Trinidad. 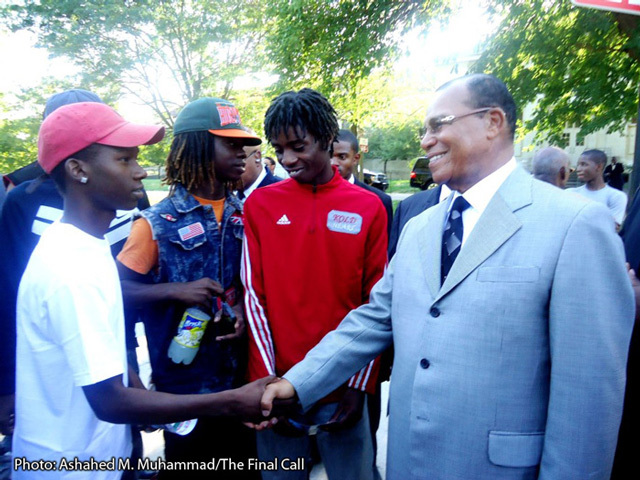 The Honorable Minister Louis Farrakhan has not slowed down his pace in walking the streets of Chicago to promote peace and love. 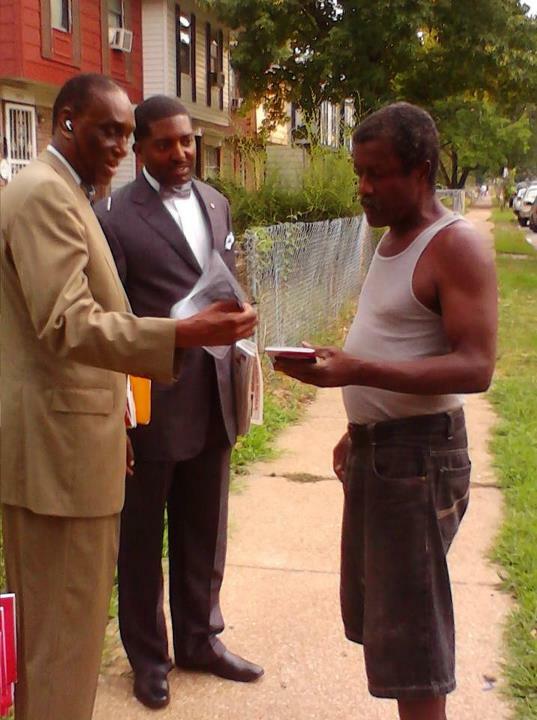 Now entering the six consecutive week, Minister Farrakhan has led the Fruit of Islam, the Nation of Islam men, into communities in 100+ cities in the country. 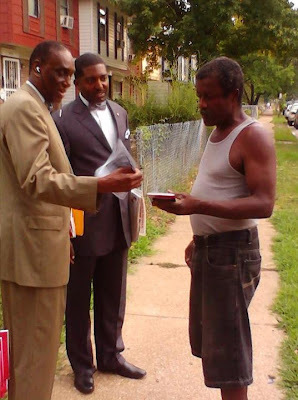 This effort is also going on in Canada, South Africa, England, and Trinidad. The above beautiful photo was taken on Saturday, August 11 by The Final Call's Ashahed M. Muhammad, who has been on the grounds with Minister Farrakhan as he walks through various neighborhoods. 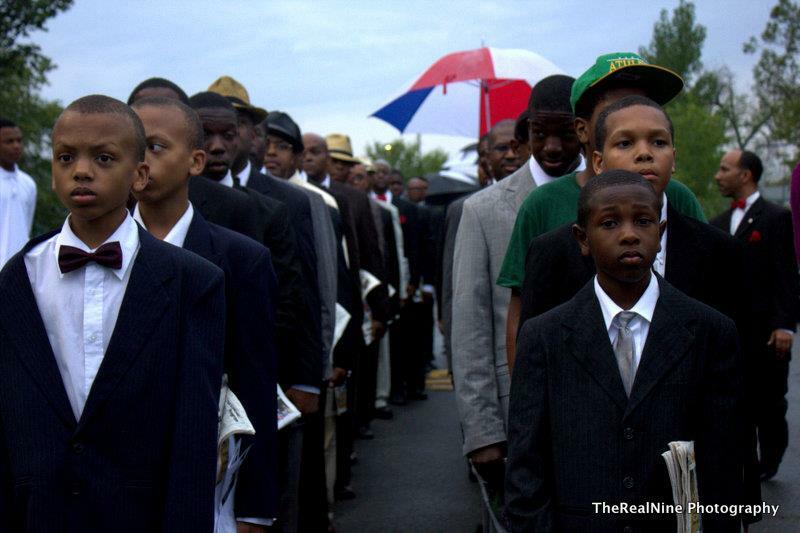 Regarding this image, Ashahed Muhammad wrote in a Facebook post, "I took this earlier this afternoon, at a park in the Chicago neighborhood known as Grand Crossing. 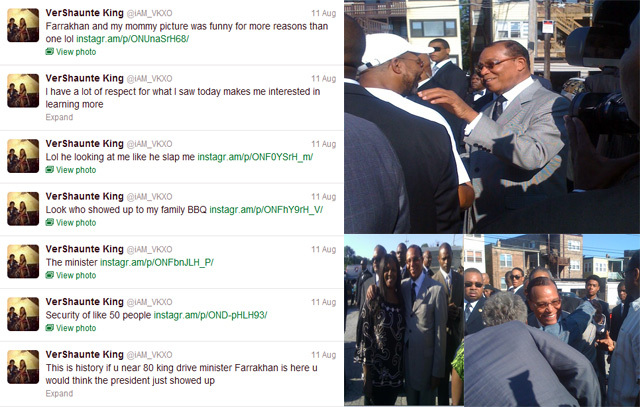 Look at the way the young brother is looking at Minister Farrakhan, and look at how the Minister is looking at him. 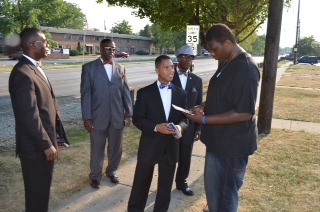 We encountered many youth today during several stops throughout Chicago's South Side..."
Check out more photos from Facebook of the Fruit of Islam out in the streets the last few weeks. 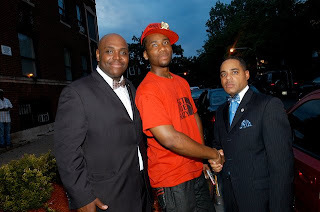 To watch some video footage click here.